Vladimir Tarasenko and Ryan O'Reilly bookended the second period with goals, and the visiting St. Louis Blues strengthened their playoff chances with a 4-0 victory over the Los Angeles Kings. Tyler Bozak also scored a second-period goal for the Blues, while Ivan Barbashev added an insurance goal in the third period. 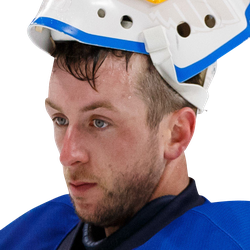 Goaltender Jake Allen made 28 saves, including a dazzling snag with his blocker hand to protect a gaping side of the net in the third period, for his third shutout of the season. St. Louis, the third-place team in the Central Division, increased its point total to 78 and maintained distance from the fourth-place Dallas Stars (75 points), who are the wild-card leader in the Western Conference and beat the Colorado Avalanche on Thursday. The Kings' struggles continued, as they dropped their second consecutive game and were defeated for the 12th time in their last 13 games. At 56 points, the Kings are the worst team in the Western Conference and the second worst team in the NHL, ahead of just the Ottawa Senators (52 points). The Blues improved to 2-0 on their three-game road trip through California, a stretch that coincides with center Brayden Schenn's return from an upper-body injury. Schenn had an assist on Tarasenko's and O'Reilly's goals, as the Blues' top line delivered again. In a 5-4 come-from-behind victory at Anaheim on Wednesday, Schenn, Tarasenko and O'Reilly combined for two goals and four assists. After a scoreless first period, Tarasenko delivered a goal 25 seconds into the second, his 28th of the season. His blast from just inside the left circle easily beat Kings goaltender Jonathan Quick to the glove side. The Kings' defense was able to hold tight until Bozak scored a goal, his 11th, with less than two minutes remaining in the second period for a 2-0 lead. 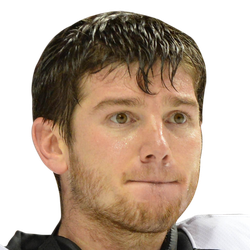 With two seconds remaining in the second period, O'Reilly gave the Blues a 3-0 lead when he scored off of a pass from Schenn for his 26th of the season. Schenn's influence on the Blues has been clear since his return. He has not only guided St. Louis to consecutive victories, but the Blues were on an 11-game winning streak before he missed time. While he was out of action, the Blues went 2-3-1.